A few decades apart, two men sat in jail and wrote letters to their colleagues, describing their visions for effective and ethical protest under unjust rule. On March 14, 2018, one of these men joined other activists and teachers to discuss nonviolent protest past and present. 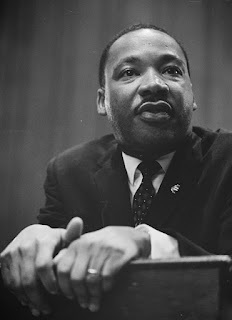 In 1963, Martin Luther King, Jr. wrote the "Letter from a Birmingham Jail" in response to a letter he had received from a group of white pastors who objected to some of his actions and rhetoric. This letter has become one of the classics of the American Civil Rights movement, as it briefly but clearly describes both King's point of view and the moment in which he was working. 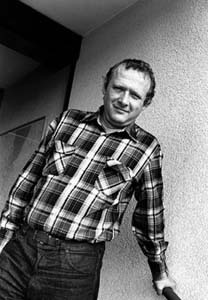 Decades later, in 1985, King's writing would also inspire a democratic activist imprisoned under communist rule in Poland: Adam Michnik. Michnik wrote a letter that was smuggled to his fellow underground activists and eventually made its way to the editor of the New York Review of Books, who published it under the title "Letter from the Gdansk Prison." Building off King's legacy of nonviolent protest and love for his fellow man, Michnik advocated against a continuation of violent protest against the communist regime and for a program of civil disobedience similar to King's strategy. On March 14 of this year, Michnik spoke by videoconference to students at the College of Lake County on the influence King had on his idea, on the legacy of his own letter, and on protest in the current political climate. Professor Cathy Colton spoke on the history and ideas of King's original letter, and young activists working in the area of nonviolence today rounded out the program. This event was organized by the Center for Nonviolence at the College of Lake County and co-sponsored by the European Union Center, the Jan Karski Educational Foundation, the Illinois Holocaust Museum and Education Center, the Peace Exchange, and the Addie Wyatt Center for Nonviolence Training. In his main remarks, Michnik states that one of the things he found most useful in King's writing was that King faced two opponents to his work: The government-sanctioned oppression of Jim Crow segregation and other systematized racism; and the widespread acceptance of these practices by the public. Michnik felt he also faced two similar opponents: The oppressive, anti-democratic communist government on the one hand, but also the "stupidity" and populism that he saw feeding into widespread consent to Soviet rule. At the time he was imprisoned, violent protest against the Communist Party was common. However, he felt this was leading to an ineffective vicious cycle of violence on both sides. He made the analogy that they knew how to turn an aquarium into fish soup, but now he and his colleagues needed to understand how to make fish soup back into an aquarium. They needed to learn how to make dead things alive again. Michnik felt that King's policy of nonviolence and love toward his oppressors was the answer to this conundrum. Towards the end of his talk, Michnik spoke of disappointing turns in the politics of both Poland and the United States. Though he did not have a positive opinion of recent political developments in either country, Michnik said that he was an optimist. Speaking through an interpreter, he said, "I know one thing: if we decide to follow in the steps of Martin Luther King, we are sure not to be defeated. Maybe we will not have political success, but we will win as people. And is there anything more important than to live one's life in accord with oneself?" He referenced Martin Luther King, Jr.'s famous "I Have a Dream" speech and urged those present not to give up on their dreams. You can listen to the entire program by downloading the wav file. (Mac users may need to use the free media software VLC Player in order to view the video.) The video quality is poor due to the limitations of the web conference software used to facilitate the live event, but aside from some crosstalk when Michnik joins the video conference the audio is fairly good. In addition to the remarks from the scheduled speakers, there is also a question and answer period where audience members ask for Michnik's perspective on recent Polish legislation denying Nazi collaboration, advice for young protesters, and Catholicism under communist rule. The entire recording is about an hour and forty-five minutes long, and provides a range of perspectives on and experiences in nonviolent political activism.